Modern Sport Utility Vehicles serve a lot of functions. They have the strength of a pickup truck and the utility of a family car. And, often times, those looking for a new SUV have the “bigger is better” mindset. Some may prefer a cozier fir, like a crossover or smaller SUV. However, many in the SUV market want a big, powerful, spacious beast of a vehicle. If you consider yourself in the latter category, you are looking for the 2019 GMC Yukon XL. The term “sport utility vehicle” has gotten lost in the last few years. So many SUVs are popping up on American roads nowadays, you might think that is all that’s out there on the market. SUVs are the most sold vehicles around the world, and their versatile use confirms this. Far more often than not, the contemporary SUV is used as a family car. And why not? Many of them are huge, plenty big enough for a family. Their size leads to increased safety over a sedan or coupe. The modern technology affords them better gas mileage than their ancestors. It makes perfect sense. However, a “sport utility vehicle” still should have the capability of getting you off road for a bit of fun in the mud. They should have the capacity to haul your friends and family, along with all the gear you will need for a weekend at the lake or the beach. While there is certainly nothing wrong with the family-friendly SUV, some people need more. Some people need the 2019 GMC Yukon XL. If you need a large, powerful SUV for work and play, read on to discover more about this impressive vehicle. When you are done, head over to Carl Black Chevrolet Buick GMC and take in the 2019 GMC Yukon XL in person. If interior space is a key selling point for you, the 2019 GMC Yukon XL has all you need. Like most SUVs in its class, it has all the room for passengers and cargo. On top of that, it has the modern creature comforts to make your weekend excursion pleasurable. The front seat offers 42.8 inches of head room and 43.5 inches of leg room. That is plenty enough for the average sized person. The second row has 39.1 inches of head room and 39.7 inches of leg room. That is still plenty of space for a comfortable ride. If you plan on using your new 2019 GMC Yukon XL for hauling a bunch of assorted gear for your weekend getaway, you’ll be glad to know it offers plenty of cargo area. Behind the last row of seats offers 39.3 cubic feet of available storage space. That is more than double the space afforded by the regular Yukon, due to the extended wheelbase. With the third row folded down, you now have 76.7 cubic feet of space. With both of the rear rows folded down, you have a whopping 121.7 cubic feet of space. So, if you are the one tasked to carry all of the gear while another carries all of the people, your 2019 GMC Yukon XL is more than fit for the job. It also has an available hands-free power liftgate, to make loading all of your requisite playthings into the 2019 GMC Yukon XL that much easier. As far as the ride to your destination goes, you can easily integrate your smartphone into the infotainment system. The 2019 GMC Yukon XL comes with both Apple CarPlay and Android Auto, meaning you can have instant access to your very own music or podcasts via your smartphone. You don’t have to live like your parents or grandparents and live off of AM/FM radio, although the 2019 GMC Yukon XL has that, too. Goodness knows the roads are dangerous enough at times. You may be the greatest driver in the world, but that just means that everyone else on the roads is a lesser driver. At some point in just about every driver’s life, someone will make a mistake, whether it is you or a fellow driver. You will want every available safety feature you can to avoid such occurrences. These risks get even greater when you use your 2019 GMC Yukon XL for sport. Uneven terrain, unfamiliar locations and remote distances leave you at greater chances of having some sort of accident. Fortunately, the 2019 GMC Yukon XL has loads of standard and available safety features that will work both on the road and off of it. Two of the more appealing safety features that might appeal to someone wishing to get a little more recreational use out of the 2019 GMC Yukon XL are Stabilitrak and Brake Assistance. Stabilitrak is a feature that helps the driver maintain control of the vehicle on certain terrains. When your Yukon comes into contact with things like gravel, mud, wet grass or snow, the Stabilitrak system helps keep the Yukon in control. This is very advantageous, especially for someone not as familiar with these particular driving conditions. It is also useful for uneven terrains, as this could cause a driver to get stuck or even flip over. Brake assistance adds a measure of force to the driver’s applied brake force if the 2019 GMC Yukon XL senses that the driver is not applying enough. Again, this could come in very handy if you are in unfamiliar areas. As for those safety features that don’t necessarily apply to off-roading, the 2019 GMC Yukon XL has Forward Collision Warning and Forward Collision Mitigation available. These features work to belay any potential forward collision. In case something briefly takes your eyes off the road, and in that split second something crosses your path, the Forward Collision Warning will give an audible alarm. If you still do not react quickly enough, the Forward Collision Mitigation will immediately apply the brakes in order to attempt to avoid a collision. Of course, these are only a few of the many standard and optional safety features the 2019 GMC Yukon XL is loaded with. Part of the fun of having a big, powerful SUV like the 2019 GMC Yukon XL is all of the power that it generates from under the hood. Rest assured, this vehicle has plenty of punch to get you, your friends and your equipment to the campground. There are two engines available over the four trim levels of the 2019 GMC Yukon XL. The first is a 5.3 liter V8, capable of 355 horsepower and 383 lb-ft of torque. That is enough muscle to tow up to 7,900 pounds, which is nearly 2,000 pounds more than the 2019 GMC Yukon XL itself weighs. Naturally, that means you can tow just about any watercraft, camper, ATV or trailer you need to behind it. However, GMC is not quite done yet. 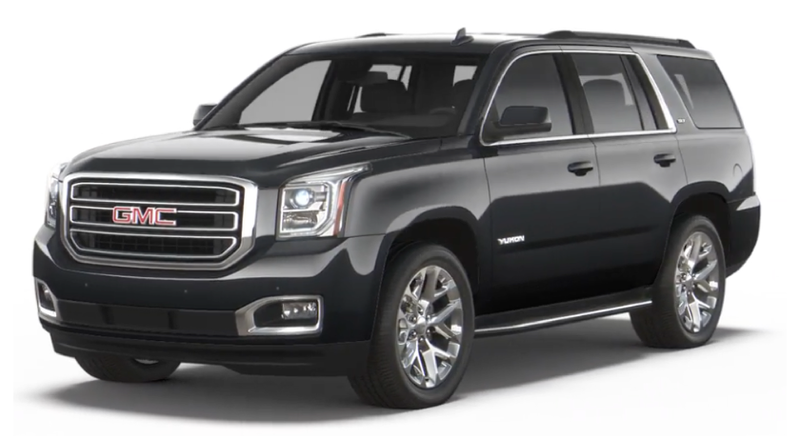 The Denali is the highest trim level of the 2019 GMC Yukon XL. In fact, the Denali is almost a nameplate itself, it is so iconic in the automotive world. And with this great responsibility comes great power. If you opt for the Denali trim, you are given a 6.2 liter V8 that gets 420 horsepower and 460 lb-ft of torque, all paired with an all-new ten-speed transmission. This larger, more powerful engine has a maximum towing capacity of 8400 pounds. Clearly, the 2019 GMC Yukon XL has all of your towing needs covered, in two extremely powerful engine options. 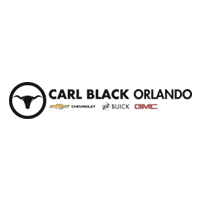 If you are one of the many people in the Orlando area in the market for a spacious, powerful and safety conscious SUV, whether it be for domestic or recreational use, stop by Carl Black Chevrolet Buick GMC in Orange County. Starting at $52,200 MSRP, this SUV has all of the interior and exterior perks you could want in a vehicle with this much potential for pleasure. Our sales staff can introduce you to the 2019 GMC Yukon XL and show you all of the safety features and the enormous interior space. They can answer any and all questions you may have about this vehicle. Our finance team can get you started with finding the right way to finance a new vehicle. This is a very arduous process at times, but our finance wizards know all of the tricks of the trade, including rebates, discounts and more. Our incredible service technicians can get you set up with a maintenance schedule to keep your 2019 GMC Yukon XL running in pristine condition for many years to come. After all, what good is having SUV of such beauty and power if it can’t run? If you can’t make it down right away, feel free to check out the 2019 GMC Yukon XL, as well as all of our other vehicles, at our online showroom. It is open 24 hours a day, 7 days a week. You will find FAQ page, specials, reviews and much more. We can’t wait to get you into a 2019 GMC Yukon XL!